The Dunkin’ Donuts secret menu is unique, to say the least. 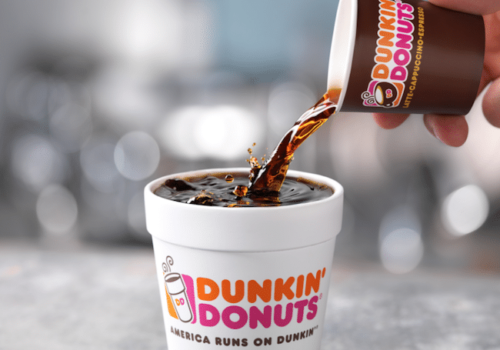 You might think that a chain that focuses on donuts and coffee won’t have much of a secret menu on offer, but the Dunkin’ Donuts secret menu might surprise you. Not unlike the McDonalds secret menu, this menu is big because Dunkin’ Donuts is big. It’s big because it was founded on decades of following consumer trends and customer demands. And it’s big because there is a big breakfast menu, a big snack menu and a big drink’s menu. 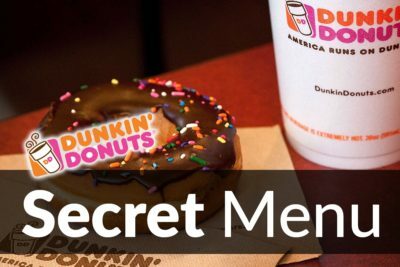 What is on the Dunkin’ Donuts Secret Menu? 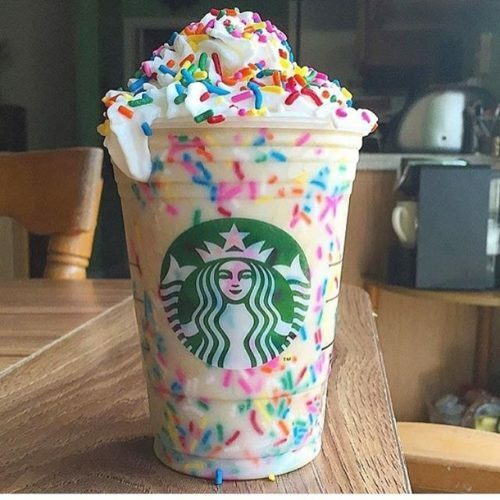 Like the Birthday Cake Frappuccino from Starbucks (pictured) this is a special treat for birthday girls and birthday boys looking to load-up on calories and go on a sugar rush that will keep them hyper all day. This is one of the biggest items on the Starbucks secret menu, but it’s one that you can replicate almost exactly at Dunkin’ Donuts. Just order a Vanilla Bean Coolatta and ask for a Hazelnut Swirl on top. You can also go one step better and add some additional sweet toppings, some cream or whatever else you can get on there. If you add some candles, you can celebrate your birthday in style. And by “in style” I mean as you sit by yourself, drinking coffee at 6:00am and begging the servers to sing you Happy Birthday. Few things go better together than hazlenut and chocolate, and the best marriage of these two ingredients is in the spread Nutella. If you love Nutella, then you can indulge your obsession in Dunkin’ Donuts by making every drink taste like it. To make your drink taste like this chocolate-hazelnut spread, just ask the server to add a hazelnut shot and two mocha swirls to your coffee. What you will get will have all the goodness of Nutella, but it will be sweeter, stronger and it will have more of a kick. It’s Nutella, but better, if you can believe it. This works with hot coffee and with iced coffee, and it doesn’t stop there. If you want a Nutella Coolatta, then order yourself a Frozen Mocha and add two hazelnut swirls to it. 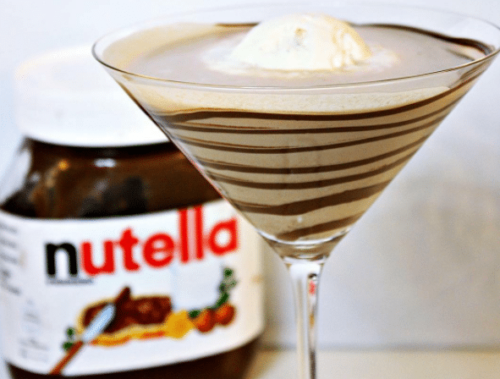 If you want some Nutella flavor in your hot chocolate (and why wouldn’t you?) then just add three hazelnut swirls to a standard hot chocolate. Need a pick-me-up in the morning? You’re not alone. Dunkin’ Donuts is a portal through which many haggard, pre-work zombies pass, before coming out of the other side as bright-eyed, eager-beavers ready to take on the world. 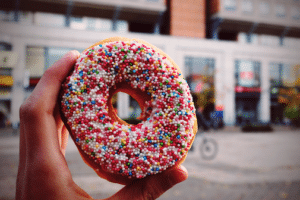 The sugar helps, as does the massive does of calories provided by their donuts and snacks. But most of that transformation is down to the coffee. And the best way to get an extra kick of caffeine in your coffee and to make this transformation quicker is to ask for a “Turbo Hot Coffee”. This request will work with a traditional coffee of any size. Look for the Dunkin Donuts nutrition info and the full Dunkin Donuts menu prices that we just released. It doesn’t matter if it’s hot or iced, and you might even be able to request it for your tea or hot chocolate. Although you probably wouldn’t want to. That’s because the words “Turbo Hot Coffee” will tell the server to add an extra shot of espresso to your drink. We can’t confirm if they will keep adding these shots if you keep saying those words. But it’s worth a try.